Everyone seems to be talking about Everything5Pounds. I figured it was too good to be true and never looked. Then one day I needed some new tops for work, but I'd just moved house and didn't have a lot of spare cash so I thought I'd try out the online store everyone is talking about and give you everything5pounds reviews! I'm delighted to announce that it isn't too good to be true - it really is amazing! The clothes were much better quality than I expected, and really, really good value. They came pretty quickly and were packaged really well. Some of the items were branded and direct from the brand would have cost at least 4 or 5 times as much, probably much more. They have a massive range of choice and I can see myself spending a lot more money there in the future! It doesn't matter what you are after - they will have it. Trousers, skirts, dresses, accessories, homewares..... Remember that the items change regularly depending on stock availability and things do tend to fly off the shelves! Here are some of my favourite purchases though. 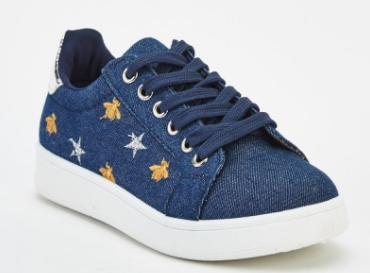 I love these denim star embroidered trainers - I bet they will sell out quick so grab them fast! 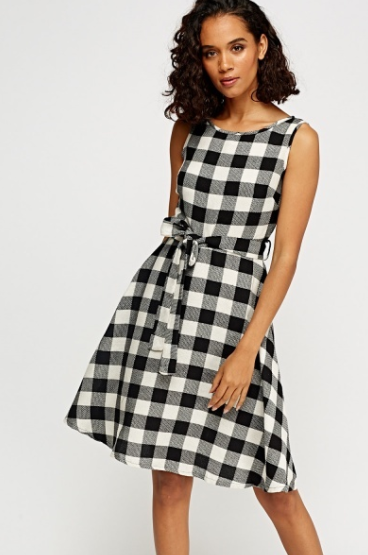 This black and white checked dress is so cute, I love the texture and the design. 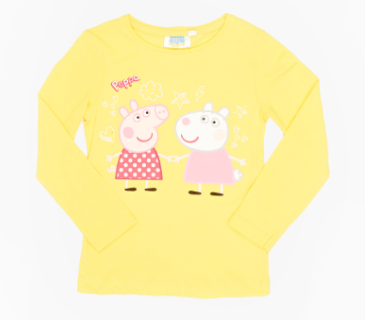 How about this seriously cute Peppa Pig and Suzy Sheep long sleeve top for one of your favourite little people? 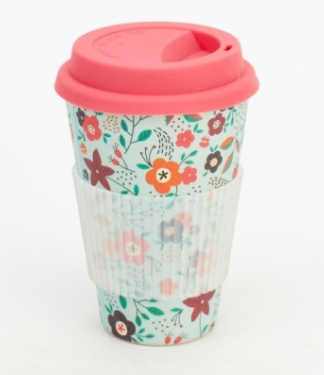 With so many big coffee chains offering discounts if you bring your own mug, can you afford to not have one of these cute travel mugs in your life? So what do you think of Everything5Pounds? Have you had a browse and found some bits and pieces you love? 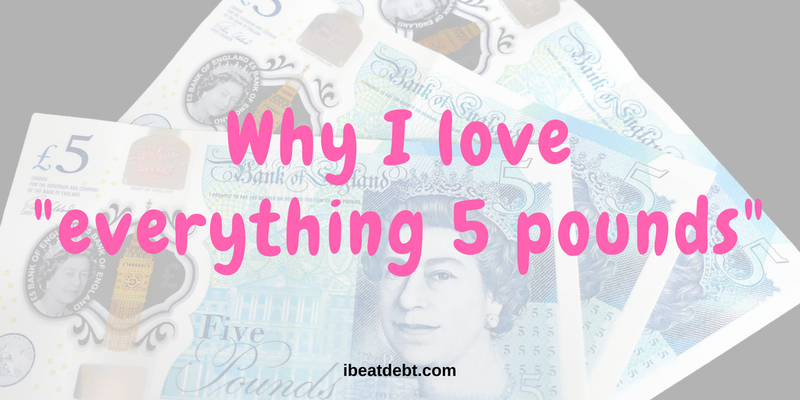 I'd love to know your everything5pounds reviews. 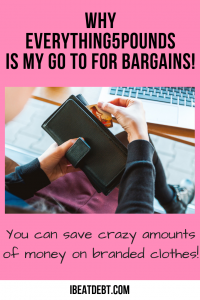 One thing to watch out for is the postage - it's not a set price, so it will depend on how many items you are purchasing and how heavy they are, but you are saving so much money on everything else that in my opinion it is totally worth it. They've also recently introduced a "Designer" tab - where the items are not £5. They are however still seriously good value for money. They have a great plus size range so even if you aren't the biggest fan of shopping due to insecurities about not being a size 8, you will still be able to find some amazing purchases. They have new arrivals pretty much every day, but if you see something you like, get in there fast, as quite often they get snapped up so quickly! 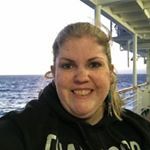 ← How Hive has changed my life! That sounds like an amazing site! I wonder if we have similar here in Australia!